Bad Voltage Regulator Symptoms | Gold Eagle Co. The voltage regulator in your vehicle is in charge of keeping the right amount of electrical power flowing consistently to certain parts of your car. This means if the voltage regulator is broken, the components in your electrical system might only work erratically or not at all. That’s a pretty big deal, since you definitely need your car’s lights and battery to be dependable if you want to get anywhere! So if you’re trying to get your car in good working order, checking on this major car part is a start. Here’s how to tell if the voltage regulator is bad. There are many reasons your car’s battery might be dead, and one of them happens to be a broken voltage regulator. This is because when this part burns out, the battery will no longer charge, meaning it will eventually die. Recharging the battery will allow the car to start, but you’ll find that the battery will be dead again sooner than you might expect if the voltage regulator isn’t working correctly. So if the battery keeps going bad, it’s probably time to take your car to a repair shop to replace the voltage regulator. Another way you can tell the voltage regulator is bad is when the car lights keep dimming or flickering. After all, the voltage regulator is supposed to keep the power flowing to the lights, so it’s no surprise that those lights don’t work right anymore once this part goes bad. This issue can extend to your headlights, dashboard lights and even your sound system. Basically, if these components seem to be going out or don’t turn on at all, your voltage regulator may be to blame. 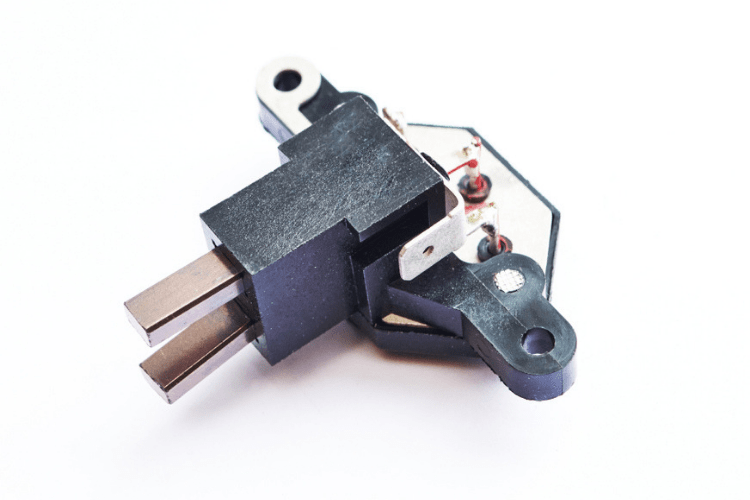 A bad voltage regulator can even affect your car’s engine. For example, as this car part stops working properly, you might notice your car’s engine sputters or stalls once in a while. It might also have trouble accelerating as you drive. If you notice this issue, a replacement for your voltage regulator may be in order so you can get the smooth acceleration you’re used to. A car’s voltage regulator is supposed to provide power to the instrument cluster. So if you notice yours isn’t working, it’s likely because the voltage regulator is broken. You might still be able to start the car, but you’ll be missing a lot of information—such as how fast you’re driving, as the speedometer won’t be working. For this reason, it’s best not to drive the car until you get the voltage regulator replaced. If you suspect the voltage regulator isn’t working, you can test it out to see if the readings are accurate. 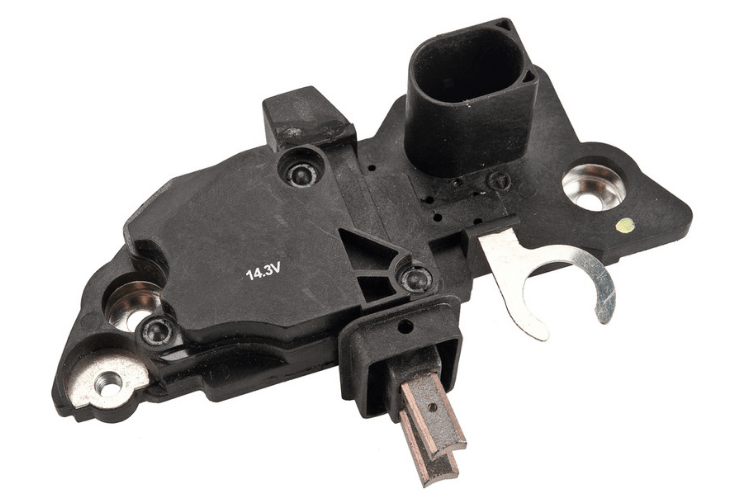 If, after testing the voltage regulator, you notice the numbers on the gauge seem to be changing erratically, you probably need a replacement for this part. Luckily, when you get it, this and any other related issues should be resolved so you’re back to having a car you can depend on. Of course, just noticing one or two of these symptoms doesn’t mean your voltage regulator is bad for sure. It could be another problem that presents similar symptoms, so look into other possibilities—such as signs your alternator is bad—as well if you want to get to the bottom of the issue.